Free calls to Philippines offer by Rebtel : Call from PC/Mobile | Free Pc to Phone Calls, Free Voip Calls to India International ! Voip has certainly changed the way we make phone calls, specially international calls. If you check the calling rates to Philippines, then you will realize how costly it is. Making calls to Philippines from India is so damn costly (almost Rs 100 per min). Many people have asked us how they can call Philippines for free (which can save them lots of money). Well turns out we are back with offer and this time it is much bigger and better. We have today a free offer for calling Philippines. Yes you can now make Free Calls to Philippines! Rebtel is giving away 30 minutes of free calls to Philippines. This is basically a rebtel voucher code which you can redeem to get these free minutes. However please note that this is a limited promotion for people calling to the Philippines. Make most of use of this offer now by making some free calls to Philippines from India or any country in the world. Update (8th March 2012) : Rebtel free 30 minutes (Free Calls to Philippines) is no longer valid. However as you are following Free Pc to Phone Calls blog, we have a better deal for you (Rebtel Free $10 Bonus Credit offer). Rebtel is running a promotion offer where it is offering Free $10 bonus credit when you signup for $10 credit. That means you pay just $10 and get $20 credit. As Rebtel is ideal voip provider for calling Philippines, so this deal is a must avail offer for you! 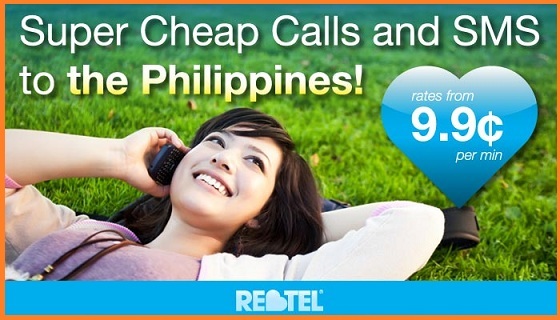 Rebtel current calling rate to Philippines is 10.9cents/minute. With bonus $10 credit, Free Calls to Philippines are worth : 92 minutes (Free Minutes to Philippines). Redeem the voucher at Rebtel for calling Philippines Free !! Use this personal voucher code to get 30 minutes of free calls: 8840005657. These free 30 minutes can be used for calls to Philippines only. I have already written about Rebtel and making calls through Rebtel. You can check that post here. Using it you can make call Philippines for free from PC (from any country including India). Also note that this is a promotional offer and will end soon, so you need to avail this offer now to make free calls to Philippines. Do you know that it is running another similar promotion where it is offering one hour of free calls to Dominican Republic (make use of that offer as well). Rebtel has a big name in this voip industry, and is used by many people. It not only offers highly cheap calling rates but it has superb voice quality and excellent customer support. Their calling rates are also very cheap as compared to other voip providers. In order to help the China and Myanmar Disaster Areas Rebtel will be free. For the next week you may use Rebtel completely free of charge to contact your friends, family and colleagues in China and Myanmar to make sure they’re okay and offer your help. India is not an option when signing on to Rebyel website. Please give some suggestions on how we can redeem coupon when "India" is not listed. As I mentioned in the post this voucher is for Philippines only. I am in talks with Rebtel and soon be giving 1 hour free calling voucher. Till then you may use other offers and hacks for calling India. I used this voucher it works but they give me 5minutes only. How can I get the 30minutes free?